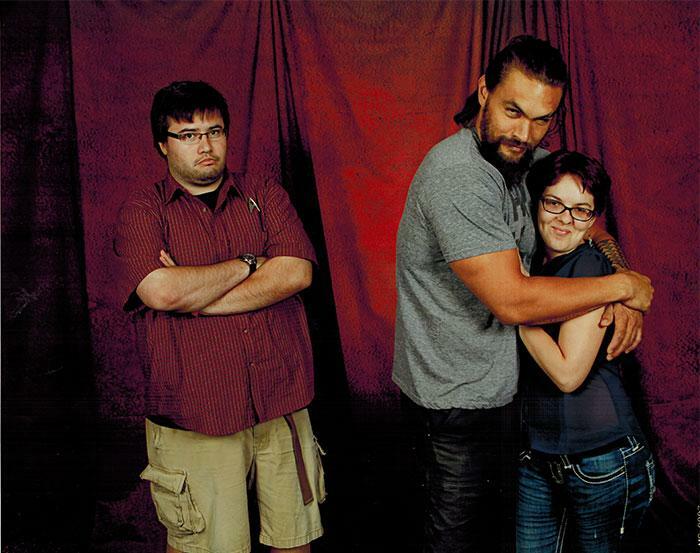 If there was ever a man that wanted to make you feel inadequate around your wife or girlfriend, it's Jason Momoa. The dude's a super successful actor. He's built like a tank and is super-ripped. He's got the perfect tan. He's got long, flowing, luscious locks and can surf and throw axes and swim like no one's business. He hosted Saturday Night Live. On top of all that, he's a big goofball at heart and has a carefree attitude people just fall in love with. He's the guy your girlfriend leaves you for but you can't seem to hate him because he's just so damn cool. 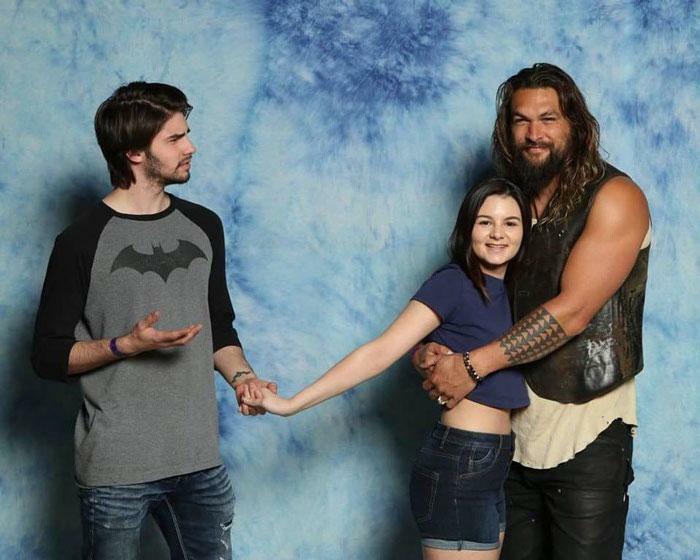 There's tons of photos on the internet of Momoa posing with guys and their girlfriends. 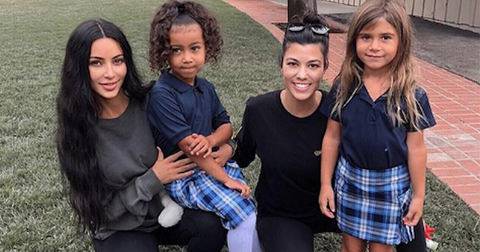 Well, mostly posing with their girlfriends while playfully pushing the dude's off the side or keeping them away in the photo. He gets a big laugh out of it and always seems to be having such a blast all the time. He truly is an enviable man. 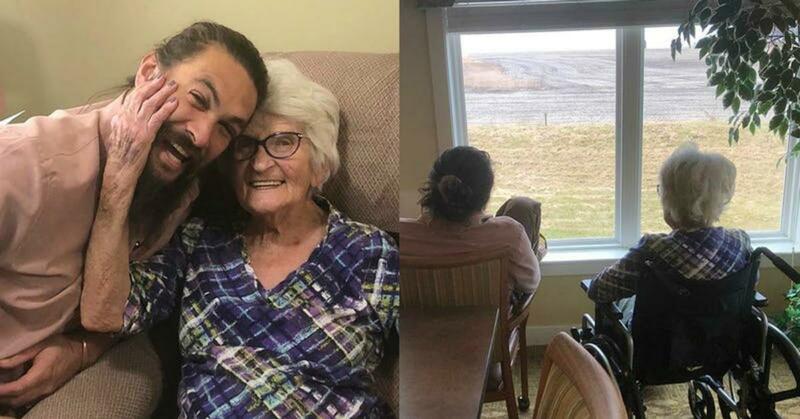 And if you hate that Momoa's got such a charmed existence and is the apple of everyone's eye, well then whatever you do, don't look at these photos he took with his grandma. "Needed to come home to Iowa and give my grams some aloha Love u forever grandma 😍😍😍#Mabel#thematriarch #raisedbywomen #loveuma#hawaiianiowan. HAWAII backwards is IIAWAH. IOWA 😂Aloha j"
In his post, he comments that he was raised by women and gives props to his granny, calling her "the matriarch." 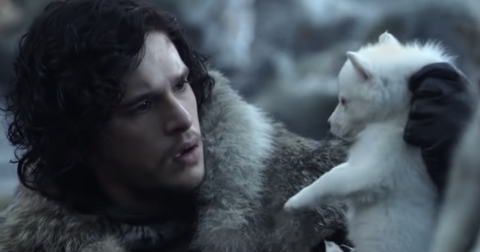 As if he wasn't just so darn lovable already. Thanks a lot for raising the bar for people everywhere, Jason. 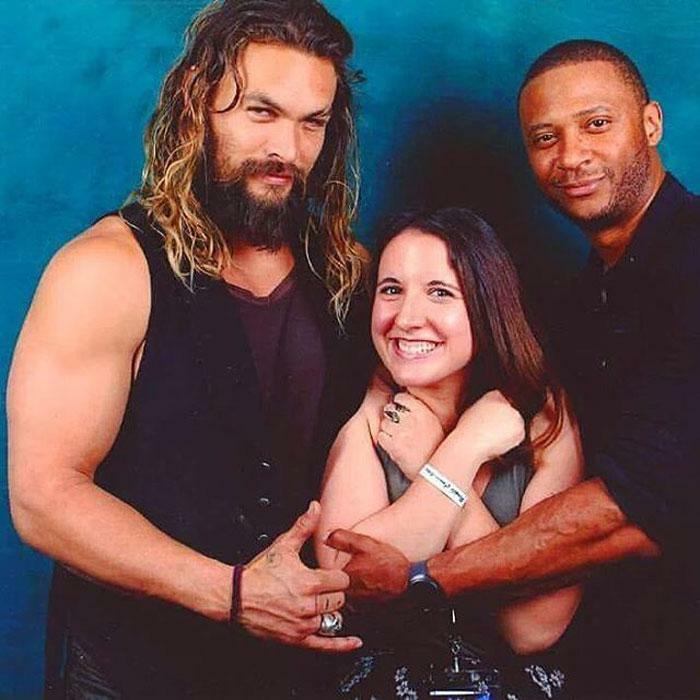 In all seriousness, it's nice to see a Hollywood star who hasn't forgotten where he came from, especially in light of the success he's enjoying for Aquaman. After a string of critically panned films that failed to have long-term box office, DC is enjoying consistently high-yield weekend grosses for Aquaman. To date, the film has earned over $1 Billion worldwide. Not a bad return for the film's $160 million production budget. 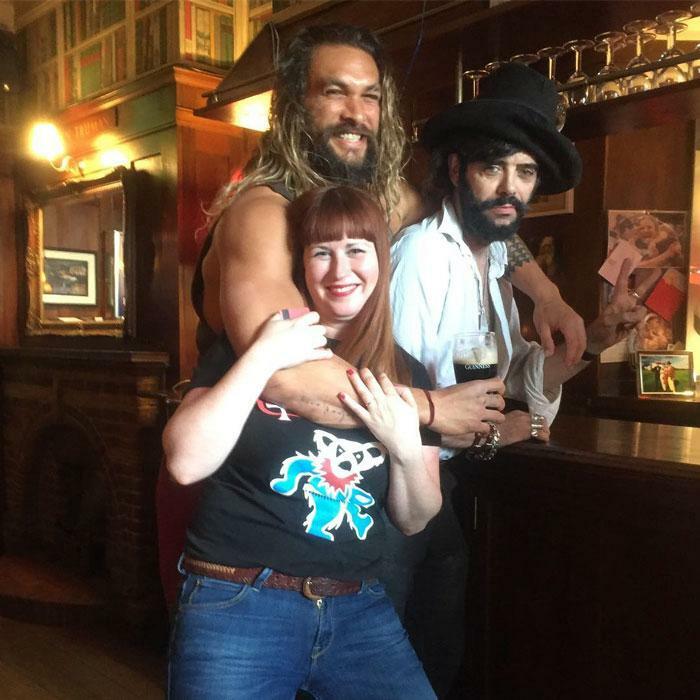 Many attribute the movie's success to Momoa's performance and star power, and talks for a sequel are already underway. So Jason's got a lot to smile about. 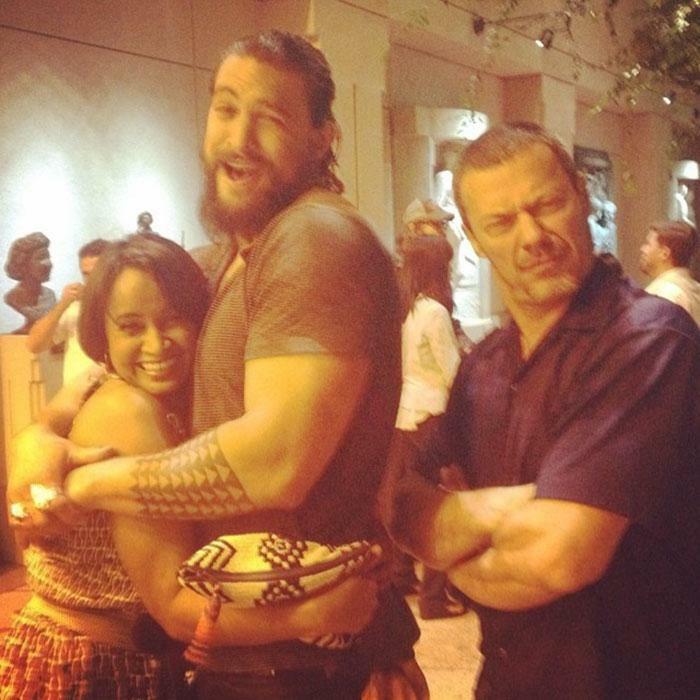 But even before his success in the DCU, Khal Drogo was known for enthusiasm and huge personality. 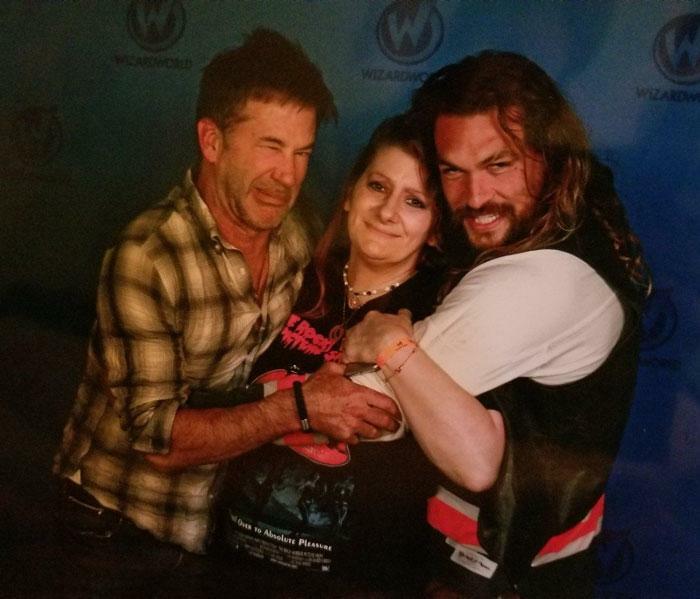 Like these pics with couples he took at conventions. 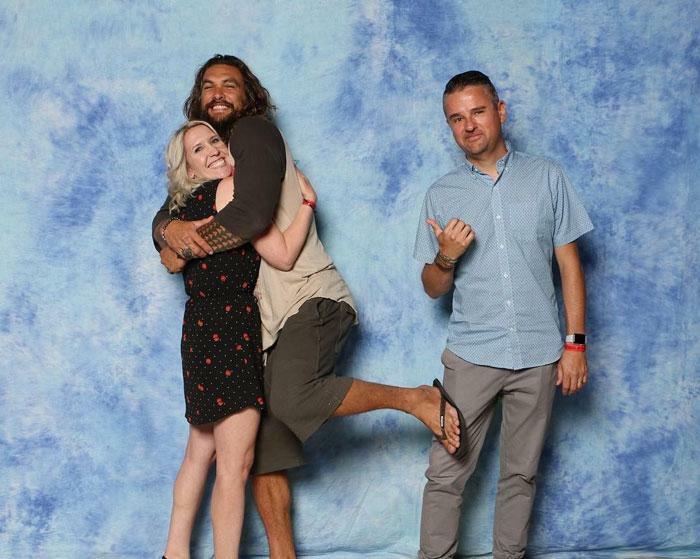 Momoa's willingness to play into the whole "Mr. Steal your girl" dynamic was well-documented in this guy's story. 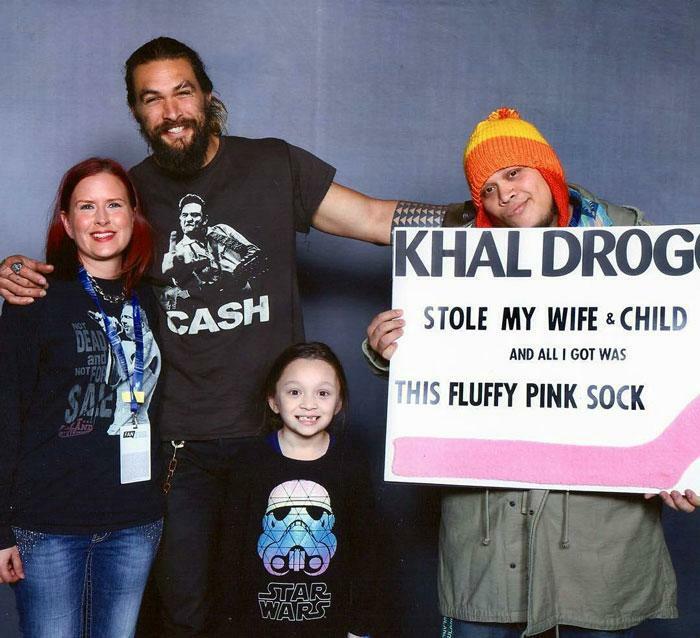 Turns out that him and his wife attends tons of conventions together, and she's always snapping pics with hunky stars. 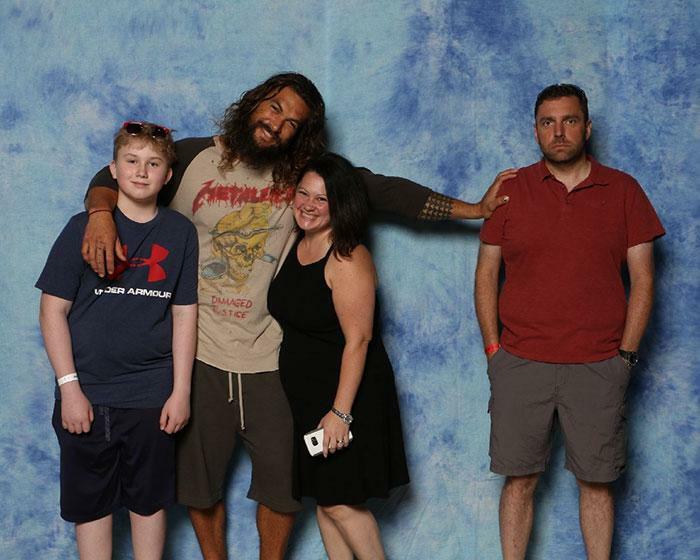 Jason thought the whole idea was hilarious and happily played the part. 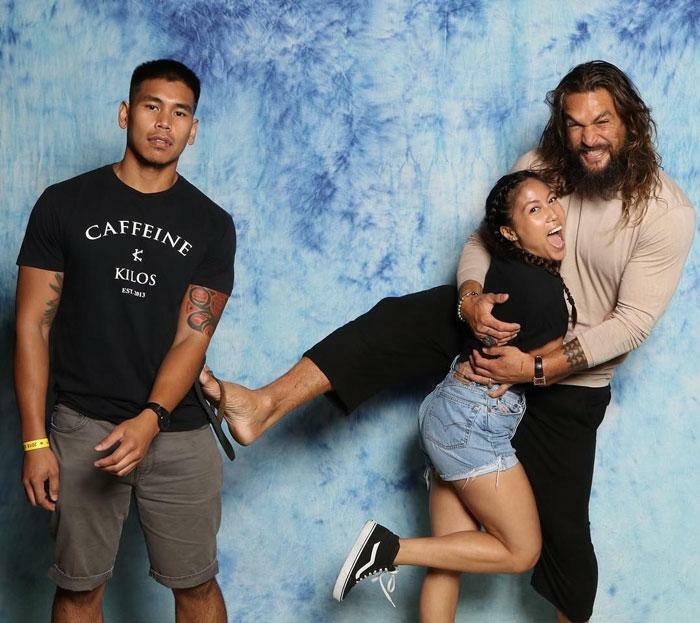 As much as he jokes about loving the adoration form other men's wives, Momoa's pretty vocal about how in love he is with his longtime crush and wife, actress Lisa Bonet. In fact, he recently revealed that he was in love with Bonet from when he was eight years old and saw her on TV on the Cosby show. Bonet was 19 at the time. "Finally man. Ever since I was like, eight years old and I saw her on the TV, I was like, 'Mommy, I want that one.' I’m like, 'I’m going to stalk you for the rest of my life and I’m going to get you.' 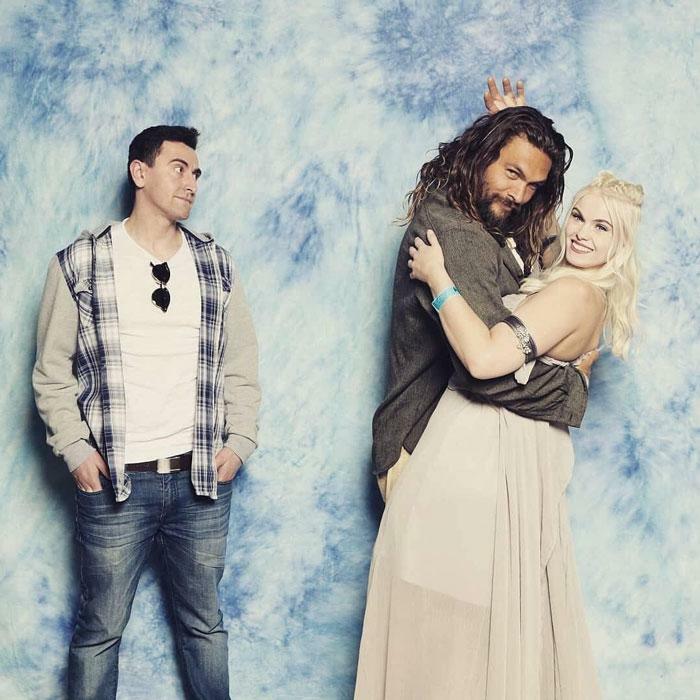 I’m a full-fledged stalker...I didn’t tell her that until we had two babies, otherwise, I’d be creepy and weird," Momoa said on The Late Show with James Corden. He also talked about the time he first met Lisa in 2005. He met her at a Jazz Club and specifically got his hair dreaded when he met her - they were both rocking dreadlocks at the time. He was living in a hotel and didn't have a car, but he convinced her to drive him to Cafe 101, where she ordered a Guinness, as did he, which was a sign as far as he was concerned. "We sat down, she ordered a Guinness, and that was it. I beyond love Guinness. We had Guinness and grits and the rest is history." 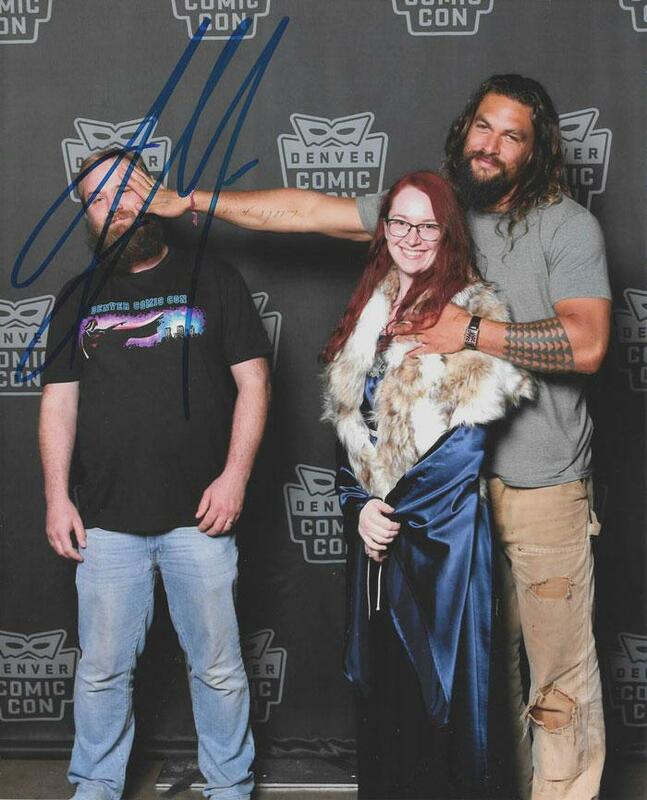 Bonet and Momoa were officially married in 2017 in front of their two children, Lola, and Nakoa-Wolf, at their house in Topanga, Los Angeles. Many an Instagram post of his is dedicated to how madly in love he is with her, which makes these photos funny, but harmless. 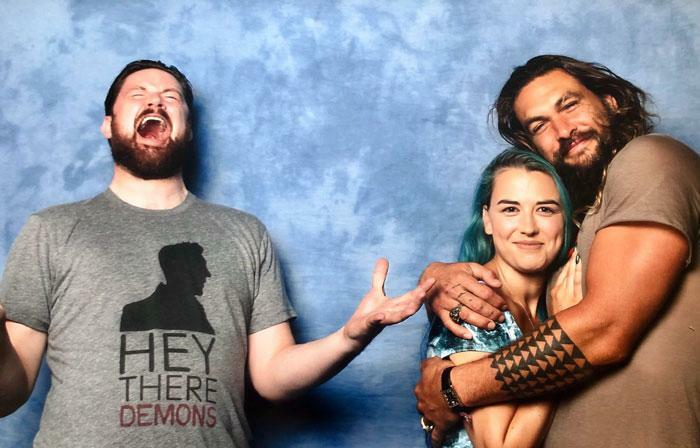 Now excuse me while I go and work out and delude myself into thinking I'll look as half as good as Jason Momoa someday.